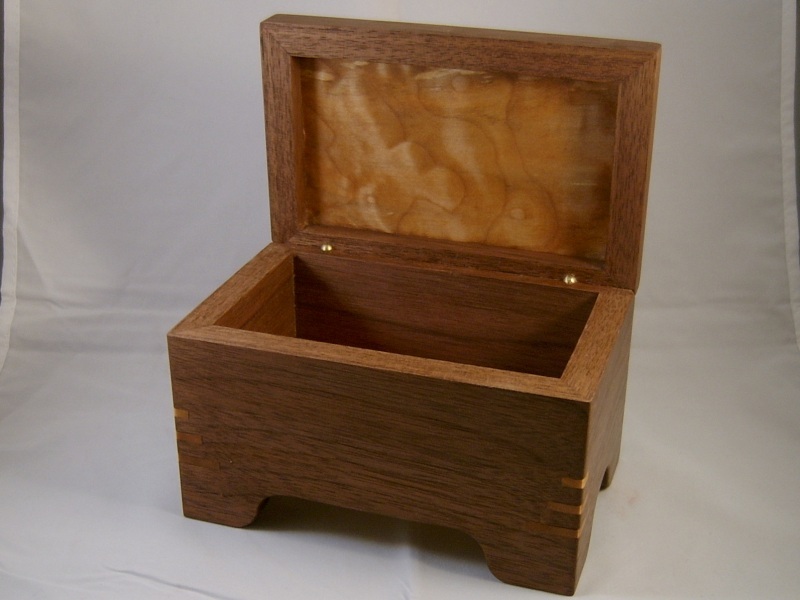 This box is made from Walnut with a quilted Maple top panel and accents. 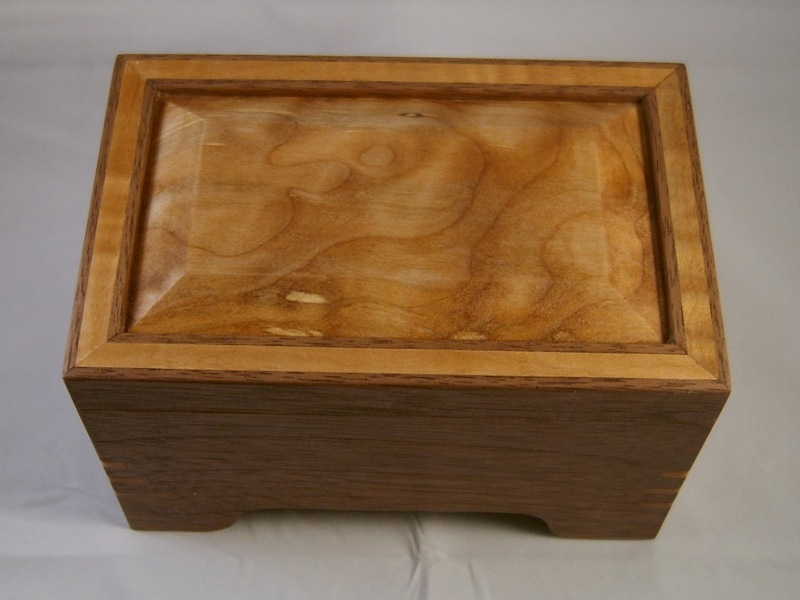 It was made with a four corner grain match allowing the grain to flow continually around the box. 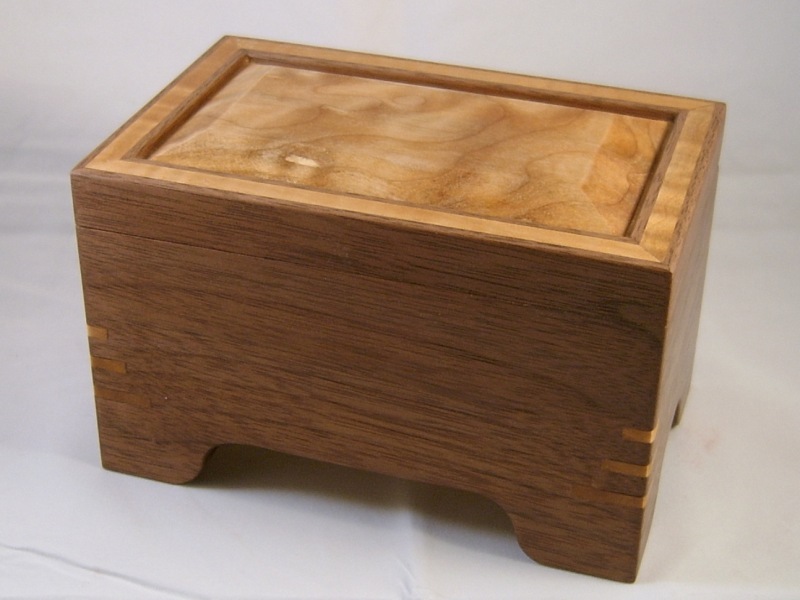 The dimensions are 6"x4"x4" tall. It is finished with a drying oil on the inside and outside and the whole thing buffed out with Carnauba wax. The hinges are miniature barrel and allow the box to be opened 180*. The liner is a suede material and will not tarnish silver.